Rocky tries to get closer to Guddan but AJ steps in just in time. Will this save AJ & Guddan's relationship? 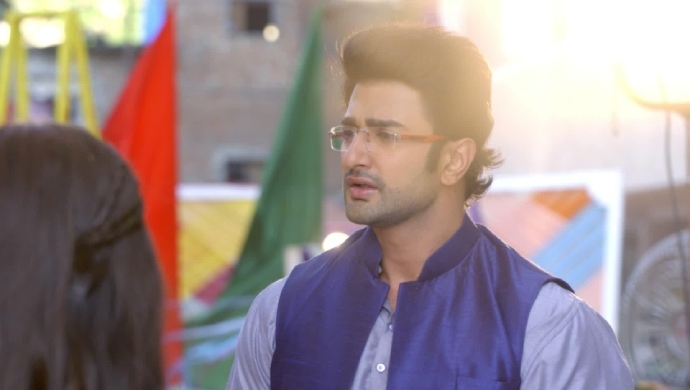 In tonight’s episode of Guddan Tumse Na Ho Payega, Guddan falls in to a trap set for her by Rocky and his gang. She ends up beating them up with a stick and leaves. Parv threatens to kill Revathi’s mother if Revathis doesn’t play Holi with him. Durga tries to ruin Guddan and AJ’s relationship by using Angad. Tomorrow we will see Rocky impersonate AJ to get close to Guddan and misbehaving with her. AJ sees Guddan struggling and comes to her aid and beats up Rocky in anger. Rocky meanwhile says AJ has no right to get angry at him because AJ has never honored his marriage to Guddan which is why she still doesn’t wear a Mangalsutra. Hearing these words from Rocky, AJ decides to re-marry Guddan in Goa itself and make his promises again. This time Guddan rejects AJ. What caused her to react this way? Stay tuned to find out.